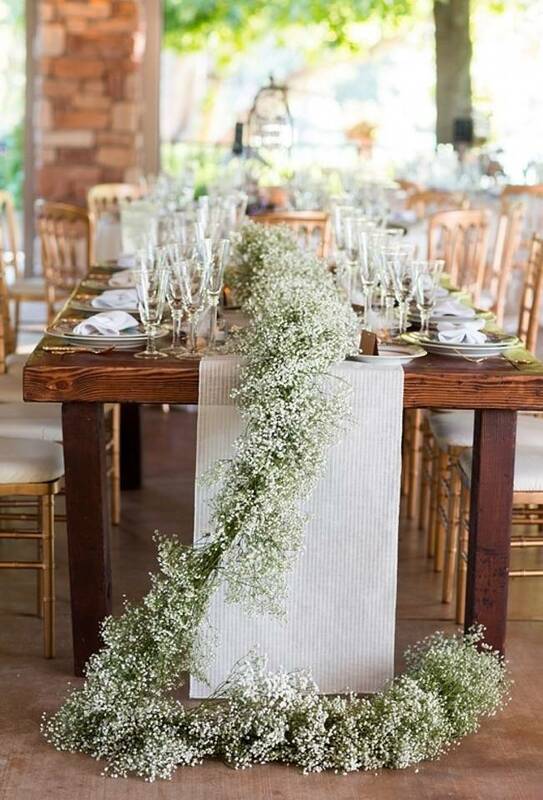 Table garlands are definitely one of the most charming centerpiece ideas I’ve come across – and they’re perfect in that they don’t obstruct the view across the table like some centerpieces can. 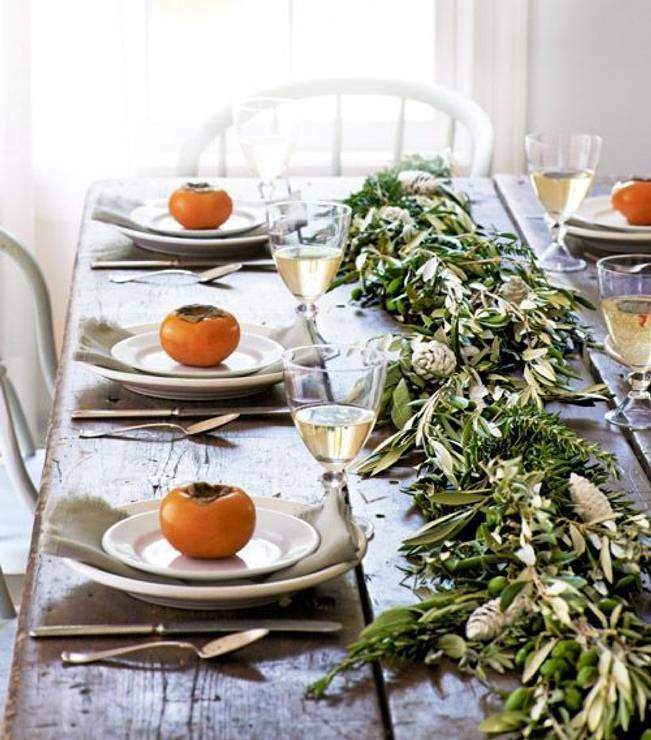 These low-lying botanical beauties look especially grand down the center of an extra-long rectangular table (obviously they aren’t great for round tables). 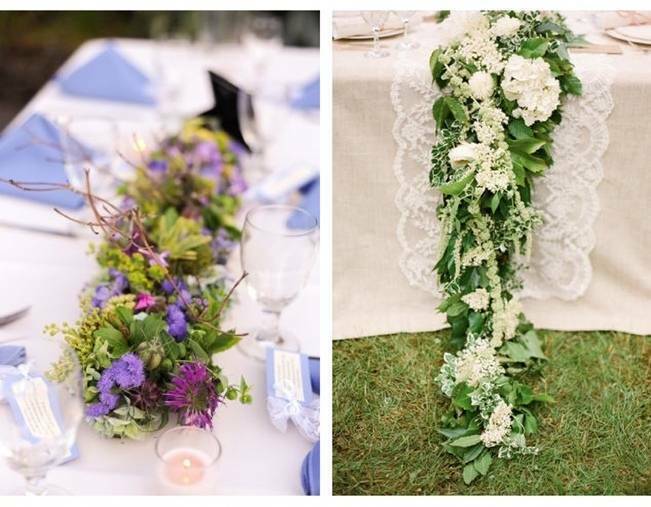 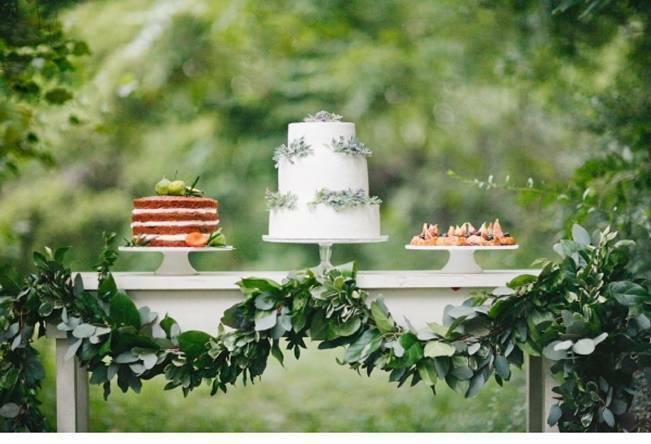 Whether you opt for an entirely green garland made of vines and leaves (or airy ferns), one with buds and blooms, or one with other pretties (think berries, pinecones, seashells) they certainly make a statement. 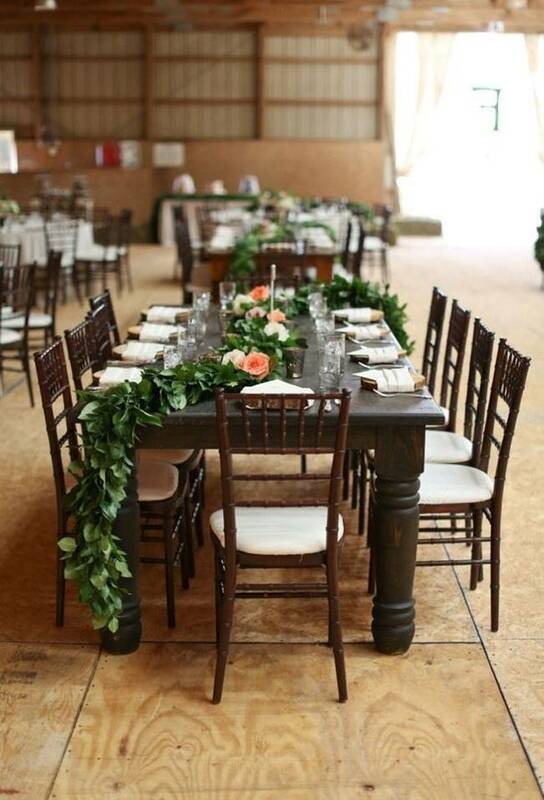 They need not always be used in the center of a table either – you can use them to drape the front of a table, pin up behind a table that is against a wall, or as seen in the seventh photo below, angle the ends so that you can still seat someone at the head of the table. 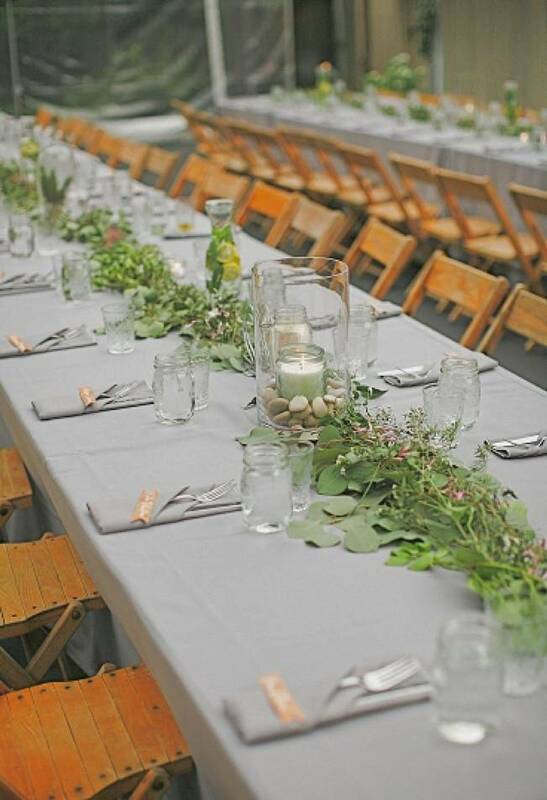 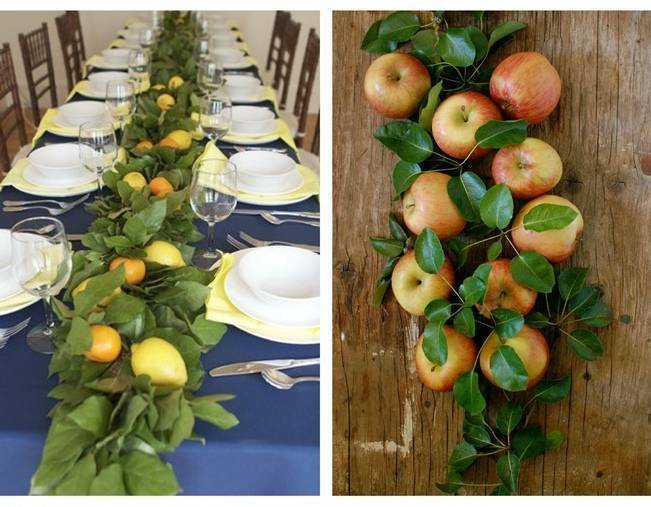 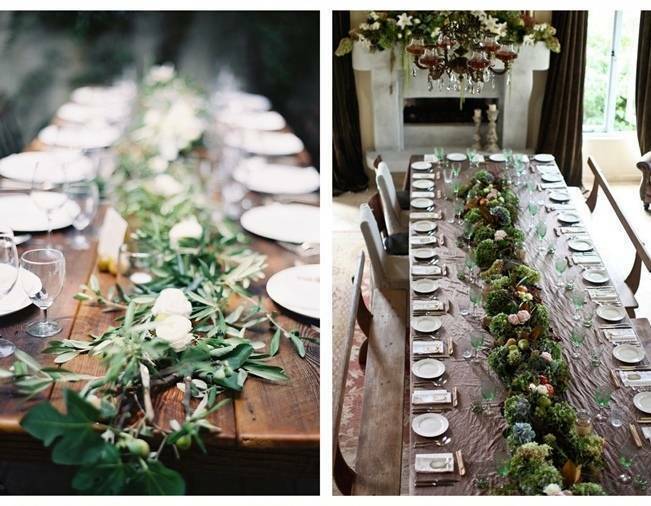 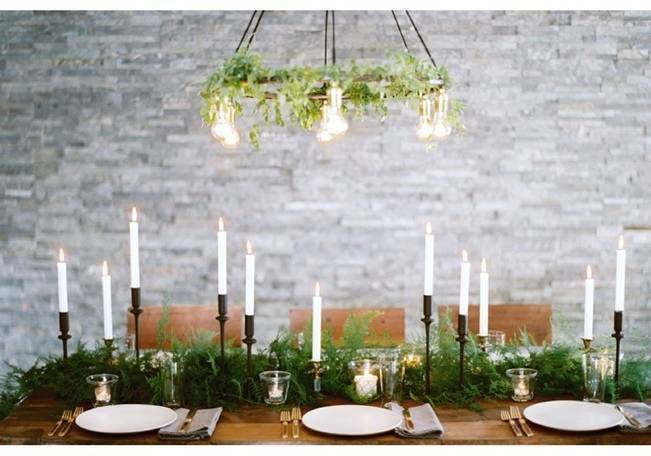 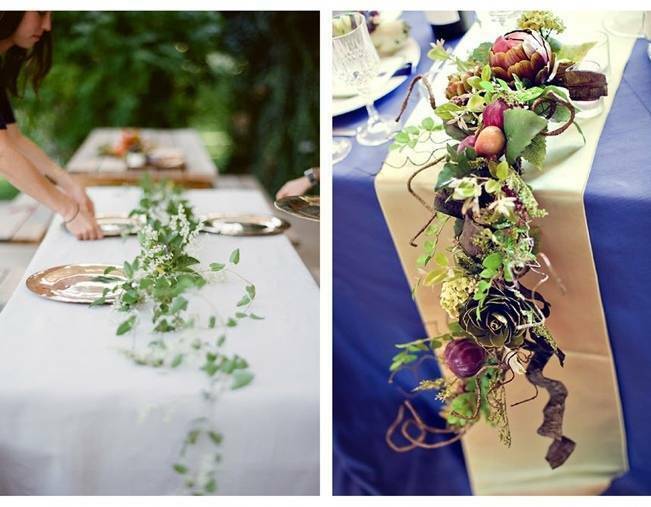 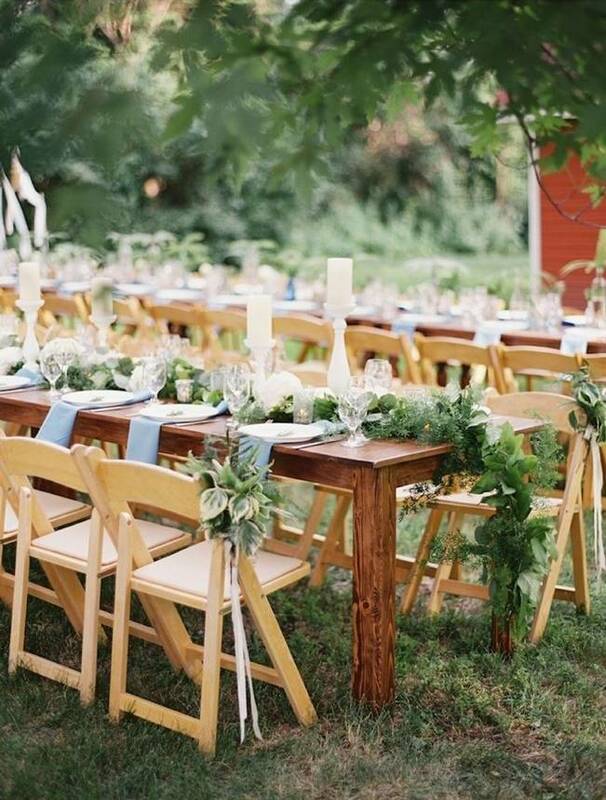 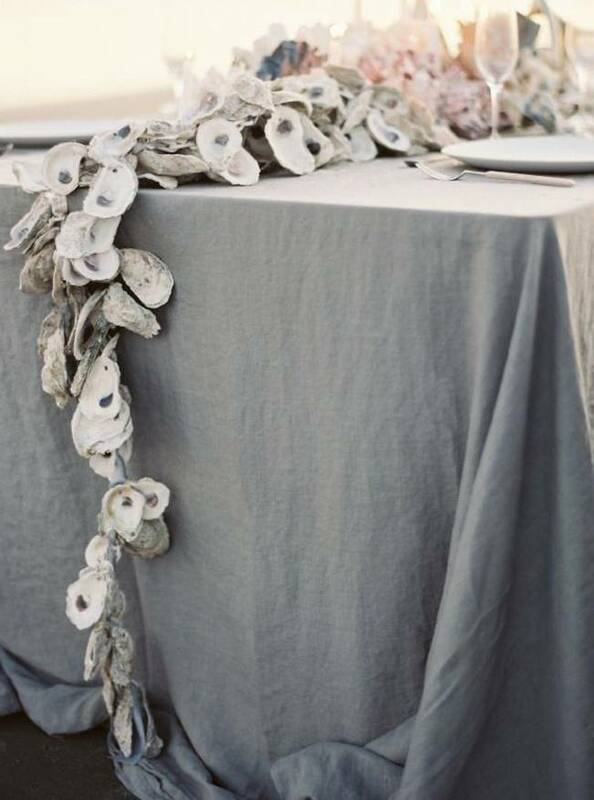 What do you think of table garlands? 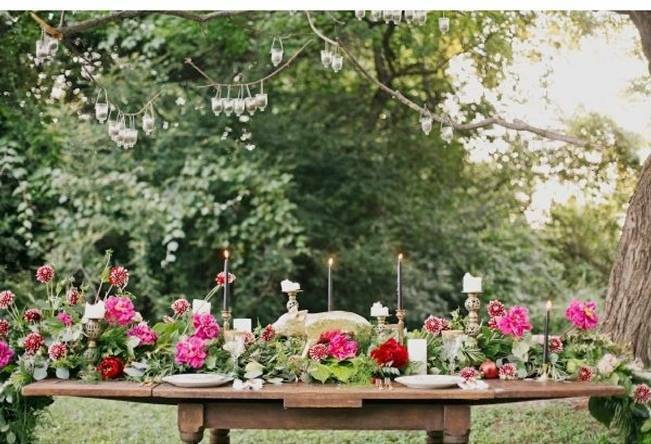 Did you, or are you planning to use them at your wedding?